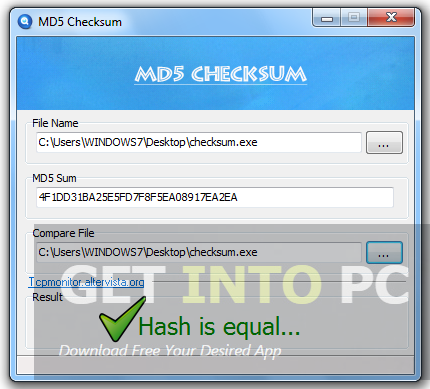 MD5 Checksum Free Download Latest Version for Windows. 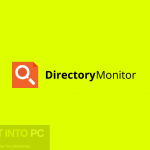 It is full offline installer standalone setup of MD5 Checksum Utility for 32 bit 64 bit windows PC. MD5 Checksum is a tool which can be used for assisting the individuals in calculating MD5 and SHA hash for any of the file or string. 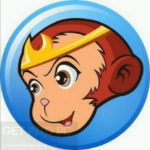 It can also be used for comparing two items whether they are different or similar. The setup process of MD5 Checksum is quite simple and smooth and after the setup is done you are welcomed by a very well organized and nicely built interface. The interface consists of small menu bar and few of the buttons plus some of the panes which show different information. There are some tabs as well by which you can access different options easily. 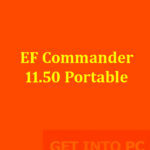 The tool is very well organized that you won’t need any help in accessing any of the options. All the users can access the options very simply. MD5 Checksum enables you to calculate the MD5, SHA1, SHA256 and SHA234 checksums of any file from your system and string by simply writing or uploading it through file browser or drag and drop feature. 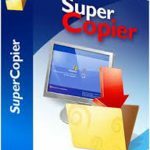 With this application it is possible to copy each result to the clipboard. Two files can be easily compared after uploading and a hash can also be compared with an item from HDD in order to compare whether they are different or not. All in all MD5 Checksum is a very productive tool for calculating the hash of any file. 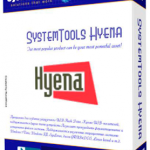 The tool use very limited resources of the system and can perform the job very efficiently by saving your precious time. Below are some noticeable features which you’ll experience after MD5 Checksum free download. Can calculate MD5 and SHA hash for any file and string. 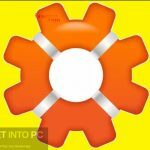 Before you start MD5 Checksum free download, make sure your PC meets minimum system requirements. 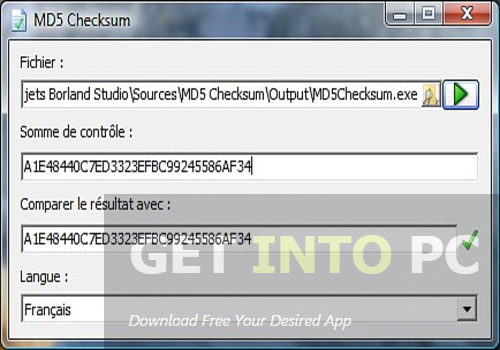 Click on below button to start MD5 Checksum Free Download. This is complete offline installer and standalone setup for MD5 Checksum. This would be compatible with both 32 bit and 64 bit windows.